The monuments and the sights of Thessaloniki are some of the most important in Greece. Above the ground ancient monuments, Roman columns, old-Christian and Byzantine churches, Ottoman panes and mpezestenia, synagogues and Jewish markets, elaborate mansions where local and foreign sovereigns lived , but also modern museums and cultural centers testify a very lively history through the centuries. It is the tower of telecommunications of 76 meters high, that was designed by the architect Al. 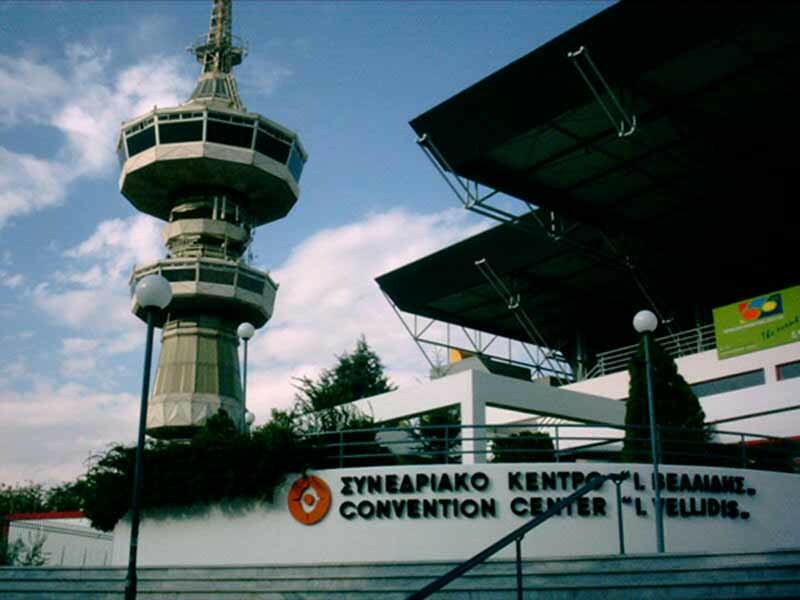 Anastasiadi, built in 1970 and was used for many years as kiosk of Organism of Telecommunications of Greece in the International Fair. 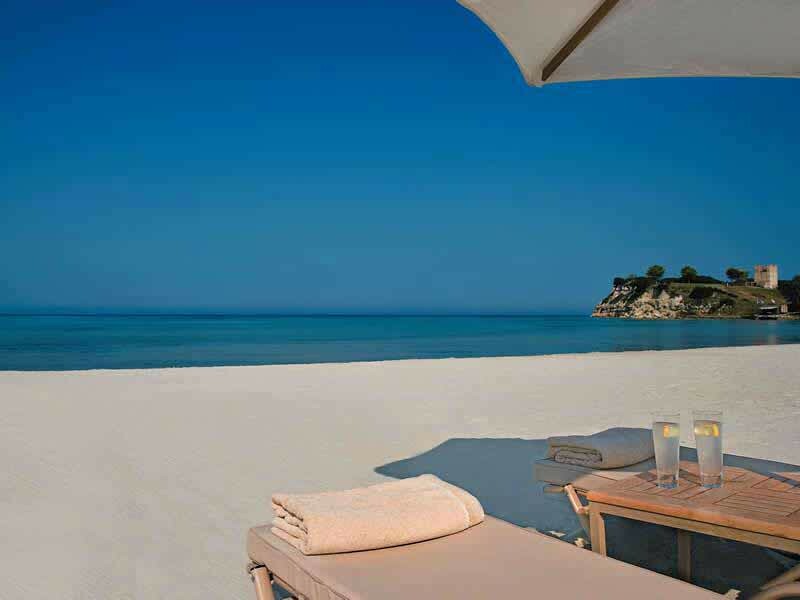 It was renovated internally in 2005 and now operates a rotating restaurant. The biggest, busiest and most impressive square in Thessaloniki with its splendid buildings is also one of the biggest and most impressive in all Greece. It was designed by the French architect Ernesto Embraer, after the big fire that struck the city in 1917. It was part of a grandiose plan for the whole region conformation, which was not completed after all. That conformation was completed in the decade 1960, based on more simplified design plans. The characteristic statue of Alexander The Great, riding Voykefala his faithful companion, embellishes the beach of Thessaloniki, next to the other symbol of the city, the White Tower. Sculptured by Evangelos Moystakas, was erected in 1973 with expenses from fundraising committees and was inaugurated in 1974. The biggest exhibition pylon of the country but also of Balkans was founded in 1925 and since then it constitutes important nodal point, with the highest number of exhibitors and visitors each year. In the center of Thessaloniki, on Egnatia Street, the Arch of Galerius also known as Kamara is one of the most beloved meeting points of the city. Built just before 305AD to celebrate Galerius victory against the Persians and performs marvelously narrating, decorative bas-reliefs. 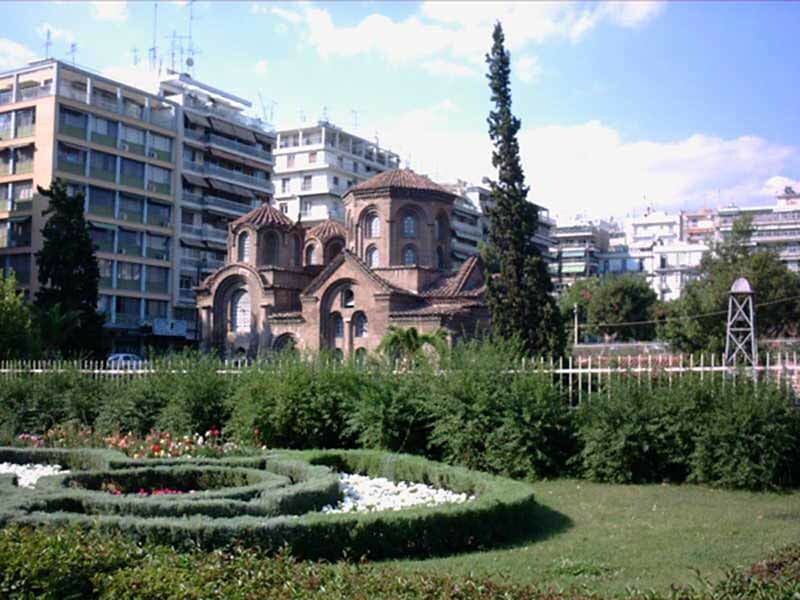 A benchmark of the city, circular Rotunda of Saint George with its mosaics, is one of the most ancient and astonishing monuments of Thessaloniki. 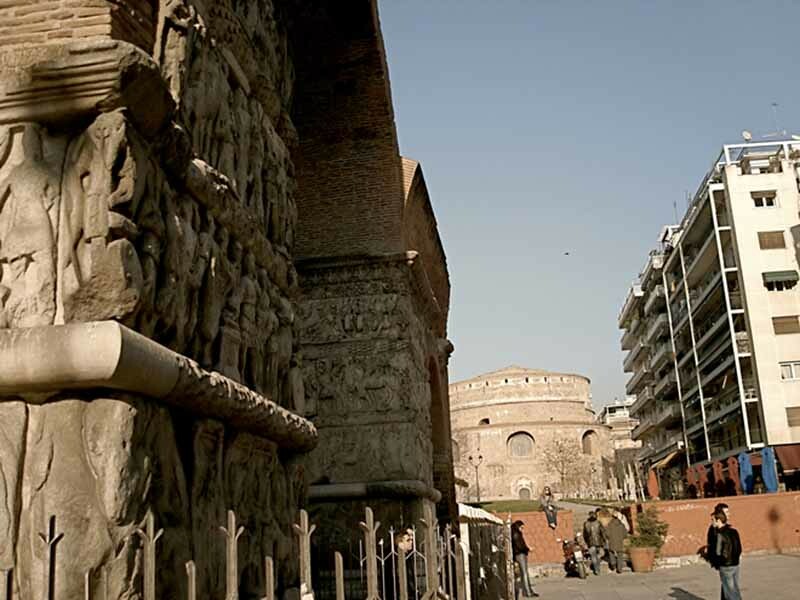 Built in the beginning of 4th century A.D., it is speculated to be Galerius Pantheon or Mausoleum. It is a part of the city walls that were demolished in 1867; this circular tower is found on the beach and is the landmark of the city. 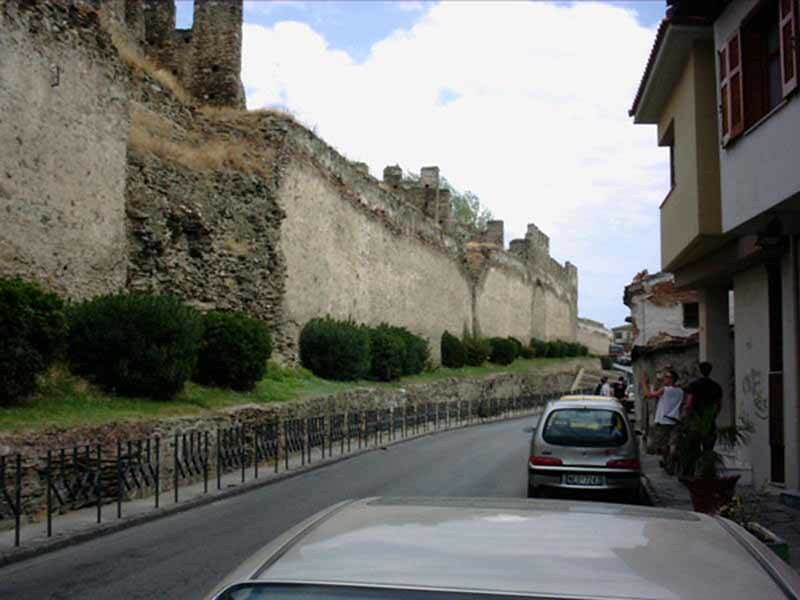 The Castles and the walls of Thessaloniki are creations of previous years whilst they were essential for the fortification of the city. Their construction is dated from the city’s foundation. 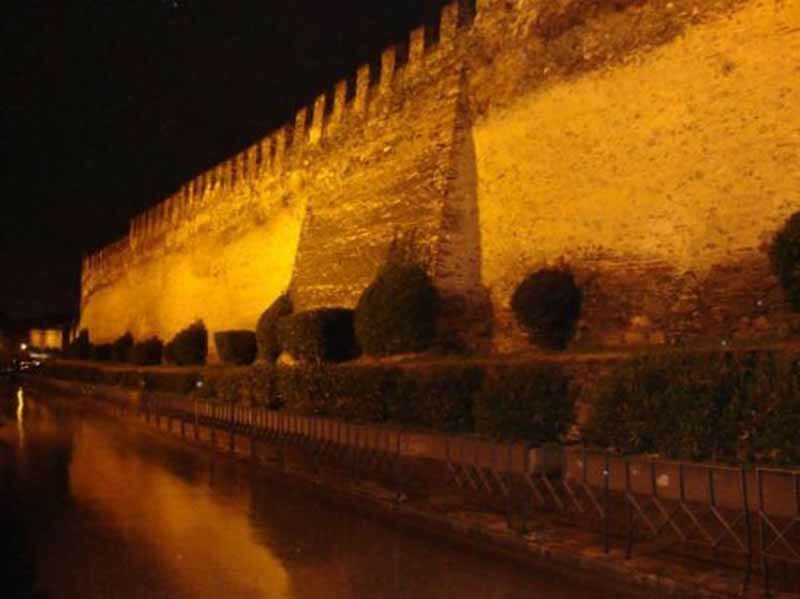 In between them, Eptapyrgio constituted the most powerful defensive fortress. Amongst the seven towers of fortress, the one in the middle, that of the entry, was built immediately after the invasion of the city (1430) by the Ottoman. It is the tower with the known Ottoman name Genti Koule . The fortress complex functioned as prisons up to 1989 when its exploitation for cultural aims began. This page took 0.8718409538269 seconds to load.